OnePlus 3 to be powered by a 3500mAh battery? The latest rumor regarding the OnePlus 3 is that the device will be powered by a 3500mAh battery, a slight improvement from the 3300mAh cell inside the OnePlus 2. Along with some earlier leaks, a picture of OnePlus' next flagship phone is developing. The handset is expected to feature a 5.5-inch Super AMOLED screen with a 1080 x 1920 FHD resolution. The Snapdragon 820 chipset will be under the hood with a quad-core CPU and the Adreno 530 GPU. The OnePlus 3 is expected to have a 16MP snapper on back with a wide aperture setting, and an 8MP selfie shooter in front. The aforementioned 3500mAh battery apparently won't have Qualcomm's Quick Charge 3.0 available for rapid charging. Instead, it seems that a home grown system called Dash Charge will be employed. According to the tip, which came overseas from China, there will be a version of the phone with 4GB of RAM (ever expect to see 4GB of RAM considered the low-end option so soon?) with 32GB of internal storage available for the equivalent of $308 USD. The version sporting 6GB of RAM with 64GB of internal storage should cost you $385. The prices for both versions are quite reasonable. Hopefully, this leak will prove to be legit. And there is some talk about a model carrying 128GB of internal memory. 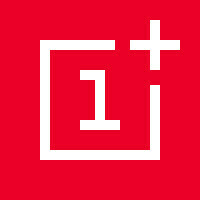 After surprising the smartphone world by selling nearly one million units of the OnePlus One, the company needs to recapture the attention of smartphone fanatics. The combination of high-end specs and an affordable price that are rumored for the OnePlus 3, certainly could do the trick. If only it ran stock Android, or had a nice skin like Sense or TouchWiz. I never cared for the Oxygen skin/OS. It is like stock android...not skinned at all. If all phones are coming with S820, what's so special about this. ...? Nothing. If it came with the Exynos Cpu or Nividia K4, then a big yes. But a big yes to 6gb Ram. If only they had the option for 8gb Ram with Exynos soc. Damon would buy it. Precisely - I want the HTC 10 but the deposit would cost the same as buying this outright, and I wouldn't have to pay the additional $20-30/month. When you look at it in this perspective the choice becomes pretty obvious. I got a OnePlus One(used, like new from ebay for $150) as a temporary phone and then got another One M9 a couple weeks later(major delay from T-Mobile getting a replacement). Having gotten the OnePlus set up I now have no inclination to switch back over to the HTC - and I thought my M9 was great once I got it set up. If your budget is an issue, and you want something top of the line OnePlus is THE go to phone. Means nothing if the optimization isn't here. With multi-window feature coming in Android N...6GB ram will help keep things running smoothly. Adding additional ram helps to future proof the phone against slowing down from future updates. Remember that Bill Gates supposedly said that 640k of ram was more than anyone would ever need? You cannot know for certain that 4gb of ram is "more than enough". Based on your usage, perhaps, however, but not every user is the same, not every version of android is as efficient with ram as others(android on the whole is far less efficient with ram than IOS, Windows Phone 8.0,8.1 and Windows 10 Mobile). Touchwiz from Samsung is notorious for poor ram management due to Samsung packing so many features into its OS. I do like touchwiz, don't get me wrong, but it is not for me to use as a daily driver, for that I need my Lumia 950 on Windows 10 Mobile. Agree with customer service nightmare...read a lot about bad customer service on oneplus forums. G5 doesn't need a "Killer". Its DOA ! What marshmallow build/ROM you use and what other tricks?? super amoled display. most exciting thing for me because i like vibrant color and deep black . Good, should offset the less than stellar battery life from SN820.